Washington's Pat Stott was named AKDT's Teacher of the Month for October! Congratulations to Washington Elementary 5th grade teacher Pat Stott for being name Alpha Delta Kappa Tau’s Teacher of the Month of October. Pat was nominated by her colleagues for her strong instruction and leadership. She’ll receive a nice gift card and her work will be highlighted in the Cañon City Daily Record. Congratulations Pat! Harrison K-8 crossing guards Joni Steiber and Bob Basham deserve our appreciation. They have been a big help in light of road construction taking place near the school. This is no easy task as nearly every day brings new challenges between dusty roads, unintentionally broken sewer lines, and muddy roads. Thanks for all you are doing to keep our children safe! Kudos are also due Mark Lyons and Elizabeth Beran. They are putting our McKinley Elementary Chromebooks to great use, supporting students in accessing enVisions math resources electronically. The learning opportunities they are providing students are engaging, rigorous, and purposeful. Thank you both for taking risks to learn how to better meet the needs of our children! I want to thank the Cañon City High School staff for their effort putting on an amazing afternoon Activity Schedule program on October 24th. This was their first official Pathways Day. 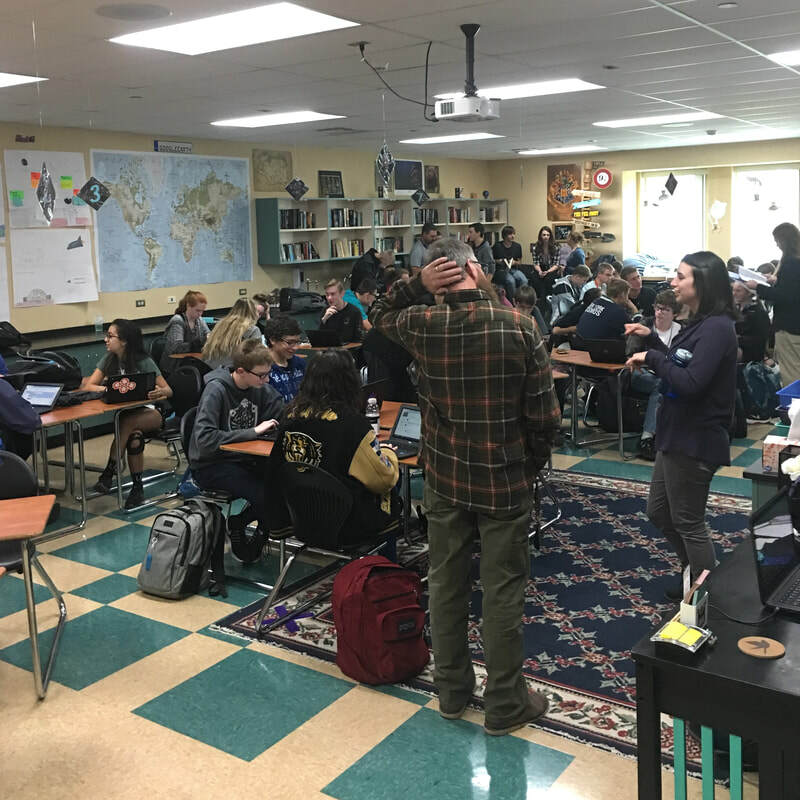 During this time, Freshmen had the opportunity to check in with their Link-Crew advisors, and members of the Class of 2021 (Sophomores) met in their pathways cohorts. This was outstanding, especially considering it was CCHS's first event of its kind. I would also like to highlight and outstanding relationship that has developed between students in Chris McIntyre’s Cañon City High School chemistry class and Kristine Hartman’s first and second grade students at Cañon Exploratory School. Several times per year Mr. McIntyre's chemistry students are responsible for developing and instructing chemistry based lessons to these young, eager Explorers. This last week a fun and spooky lesson was taught. Thank you Mr. McIntyre for encouraging your students to take risks to become teachers of our children in their own right! 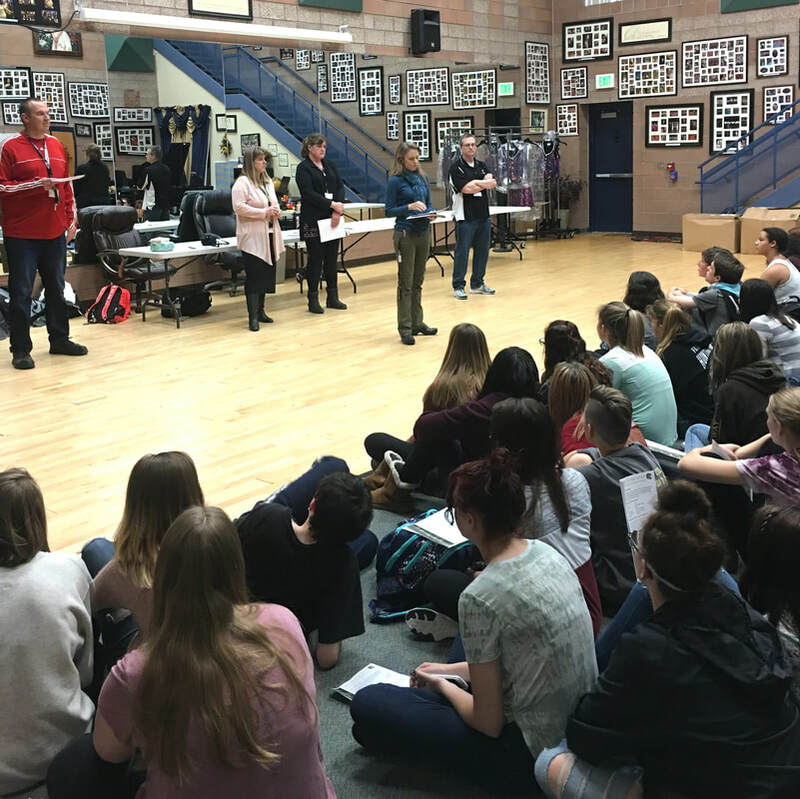 Arts, Hospitality, and Education students gathered in the Choir Room on Pathways Day. 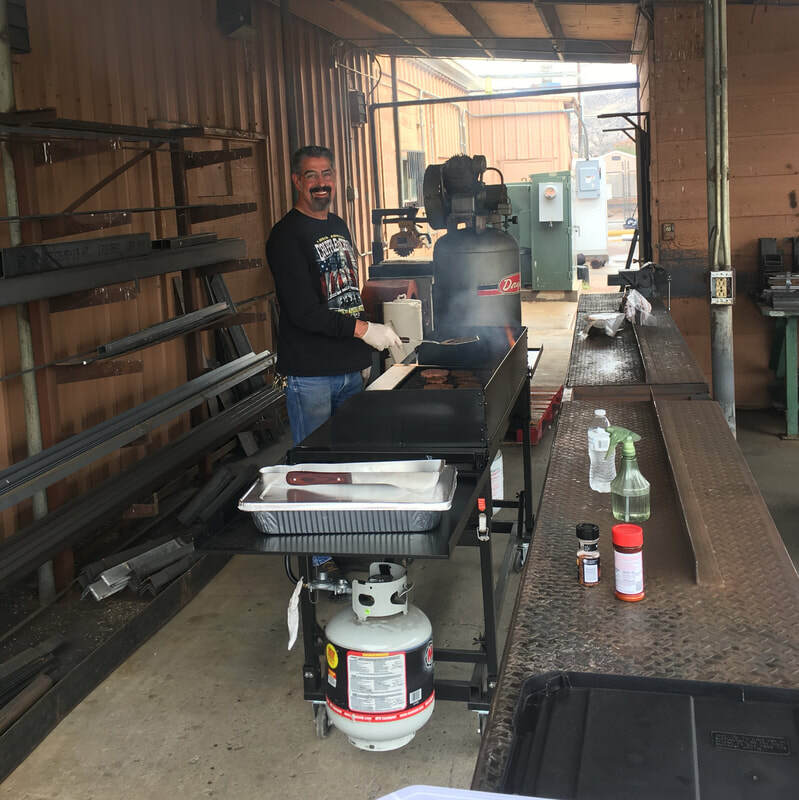 Mr. Vinci prepared lunch for members of the Skilled Trades pathway. The STEAM pathway gathered in Ms. Tortessi's classroom. Some pretty darn creative GATE students entertained their audience at the annual Spooky Stories contest! We held another Interest Based Solutions session on Hiring and Retaining High-Quality Staff last Thursday evening and, though progress was slow, some was made. We reviewed and discussed results of a survey we recently conducted and we divided our list of potential solutions into items we feel we can proceed with discussing and making decisions on internally, as well as thise we may want to engage the greater community about. We also learned we are one of three school districts the Colorado Education Initiative will be working with on solving a difficult community education problem. We’ll be steering this in the direction of how the community might support our effort to attract and retain high quality staff. .
On Wednesday I met with our Board of education to plan the content of our Board Candidate Development Academy. We’ll be finishing our planning work electronically early this week and the board will present this information to participants on this Thursday evening. Mr. McIntyre observes a spooky science experiment. Though we’ll have day-long design team meetings at Cañon City Middle School and Washington Elementary Schools this week, our major focus is on clearing up the Washington property title in advance of Colorado’s upcoming Certificate of Participation sale that will secure the funds we need to build our new school. We’re still dealing with title issues related to the solar panel lease project and have been meeting with folks from the solar lease company, the state Attorney General’s office, and the CDE Capital Construction department. We’re hoping to meet once again on Monday to finalize this work. On another construction front, work on an ALTA survey has begin at Cañon City Middle School to determine where all utilities are located and the quality and compaction of soils. This needs to be done ahead of our upcoming major remodel project. Last week I attended a McKinley support team meeting, worked on federal programs application revisions, and attended a meeting with regional at-risk youth services leaders. I also attended a Superintendent’s Advisory Council meeting, and a meeting about our future use of Technology Labs at teh elementary level. On Wednesday I worked with our board members to prepare for an upcoming Board Candidate Development Academy. On Thursday we held another IBS session on Attracting and Retaining High-Quality Staff, and on Friday I worked on our Board Candidate Development Academy slideshow and attended several education advocacy meetings. As part of the CCMS ALTA survey, core drilling is taking place on the campus. My work schedule for this week includes walkthrough observations at McKinley, a Monday afternoon and Tuesday morning Southern Superintendent's gathering in Pueblo, attendance at CCMS and Washington all-day design meetings on Tuesday and Wednesday, and Superintendent’s Advisory Council and Central Administration Office Staff meetings. Later in the week I have a Department of Human Services collaboration meeting, a Regional Wellness Advisory Team lunch, our Board Candidate Development Academy, a Cañon City High School technical writing class presentation observation, a follow-up expulsion meeting, and on Friday evening I'll attend a Ruby Payne "impact of poverty on education" dinner presentation in Pueblo. Thanks for listening once again! Have a great week!